Archer in training at UL this week. TIGHTHEAD PROP STEPHEN Archer is intent on consolidating his province’s place atop Pro14 conference A by pushing Munster to a win against Scarlets. The 31-year-old is acutely aware that his provincial form will hold the key to his international hopes. He has already played 20 times for Munster this season, and after featuring for over an hour in the 19-13 win at Ospreys he hopes to make a big impact in Wales again this weekend. “It would be brilliant (to win before the break). I suppose we are going to have to win,” said Archer. “Glasgow are going to Zebre and you’d expect Glasgow to get a win there so if we want to stay on top of our conference we are going to have to have to get the win and Parc Y Scarlets isn’t an easy place to get a win. “I don’t think we have a great record over there and they’ve pretty strong home form this season and for the last few seasons, they’ve beat the likes of Ulster and Leinster there. With two international caps to his name, Archer is still confident he can push for an Ireland World Cup spot despite missing out on the Six Nations. The Cork native watched events in Rome from home with his four-year-old son Casey last Sunday and feels he can definitely contribute and be one of a trio of tightheads who make the trip to Japan. “I must be somewhere close, anyone who is involved in their provinces the whole time, everyone has a chance with the country but it’s just about putting your hand up for selection and putting in big performances in big matches,” said Archer. “Scarlets is an important match and then down the line there’s big European Cup matches and knockout rugby, if you can get the nod for those matches and perform at a high level then you’re in with a shout. “I’d always back myself. I was watching the Italy match and you obviously want to be out there but from a personal point of view, it’s disappointing not to be there so you just have to get on with it and look forward to playing games with Munster. Email “Archer takes aim at Scarlets to keep Munster ahead of the pack in Conference A”. 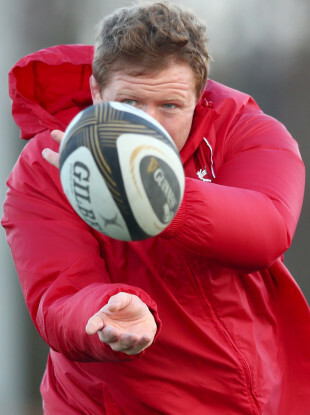 Feedback on “Archer takes aim at Scarlets to keep Munster ahead of the pack in Conference A”.